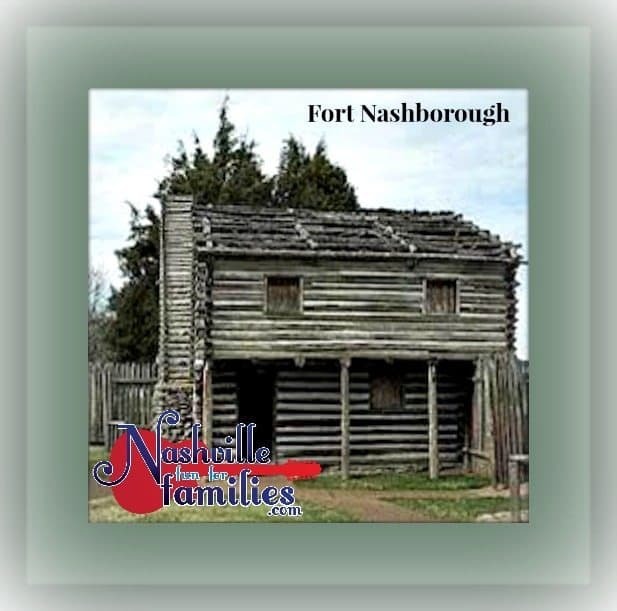 Located downtown on 1st Avenue is a re-creation of Fort Nashborough, which was originally built in 1779. If you are downtown it is definitely worth a walk through. We visited the day we took the Music City Star downtown after we enjoyed the music on Second Avenue from the street. 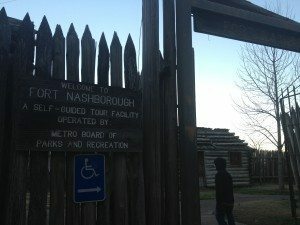 There is a sign in front for handicap (stroller) access around the side of the fort but when we visited the gate was locked. Several nice people helped me lift Tamzin’s stroller up the 5-6 steps. But keep this in mind if you do come with someone in a wheel chair. There was no one there to ask to unlock the gate. 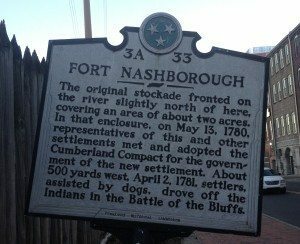 The Fort over looks the Cumberland River and is across from Titan Stadium so its worth a visit just for the views. 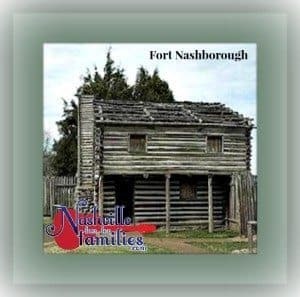 Fort Nashborough was the stockade that was established in early 1779 and grew into Nashville. 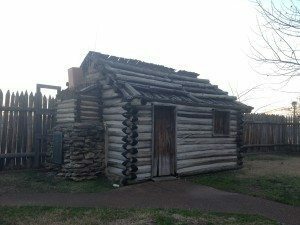 James Robertson and the original settlers crossed the frozen Cumberland River to The Cedar Bluffs where the fort was built and sheltered the first families until Indian attacks ended in 1792. 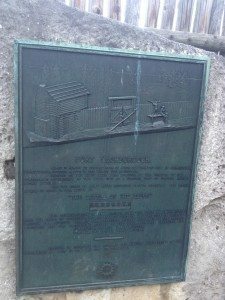 There are plaques on and around the buildings that tell the story of the Fort and Declan enjoyed looking at all the log construction and imagining what it would have been like to be there with Indians bearing down on the settlement. It is a 15 to 20 minute visit so make sure you combine it with other things downtown. 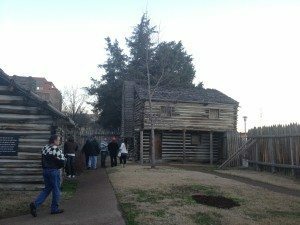 It is worth a gander if you have not been before – especially for elementary students of Tennessee history.